As the trademark of Tarek Nour Communications, Le Marche is the biggest furniture fair in the Middle East. Le Marché has been the leading furniture fair in Egypt for the past 30 years. Le Marché is a trademark of Tarek Nour Communications and it is organized by AAPIC. It has succeeded in attracting visitors through its innovative nature and wide variety of products and services that range from interior designs, landscaping, garden and outdoor furniture, office furniture, kitchens and home fabrics to accessories such as lighting, carpeting, bathroom accessories and much more, in one place. Le Marché from January 12th - January 15th, 2012 at “Cairo International Conferences Center” (CICC). 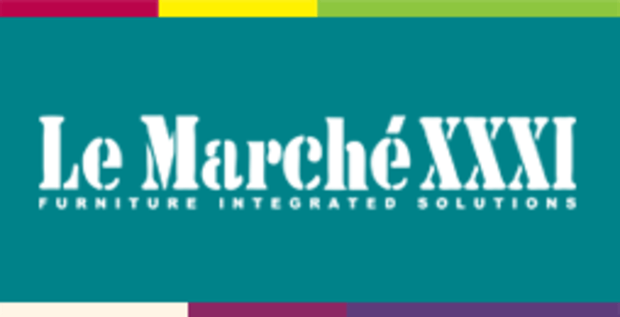 Each year Le Marche’ features hundreds of exhibitors, who present their flawless stylish new designs at the Cairo International Conference Center (CICC) which covers more than 200,000 square meters. Le Marché has rightfully become the ideal place for exhibiting new products as the target segment is always available there.